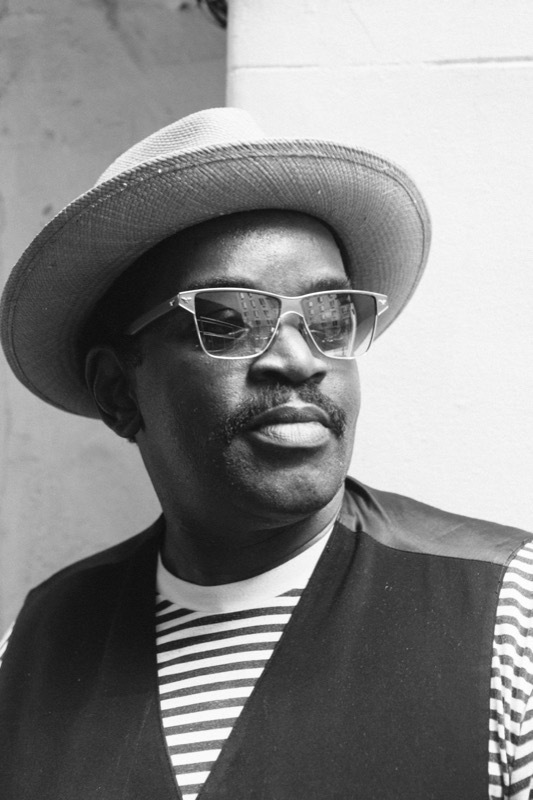 Born in Bedford-Stuyvesant, Brooklyn, Fred Brathwaite—more popularly known as Fab 5 Freddy—has been a seminal figure within street art and hip hop culture since his emergence on the downtown New York scene during the late 1970s. 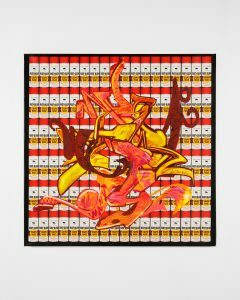 In addition to making art, Fab co-produced, starred in, and composed the original music for the 1983 cult classic Wild Style prior to becoming the first host of Yo! MTV Raps, a groundbreaking show which pushed the hip hop genre and lifestyle into global mainstream discourse. 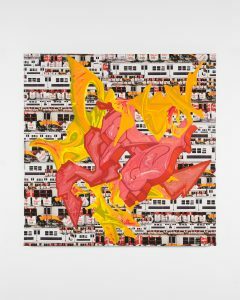 Along with the countless art exhibitions, music videos, and writings that he has participated in, directed, produced, and published, his efforts as a creative disruptor have been instrumental in elevating New York graffiti into a movement that would eventually give birth to street art. 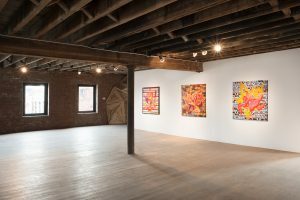 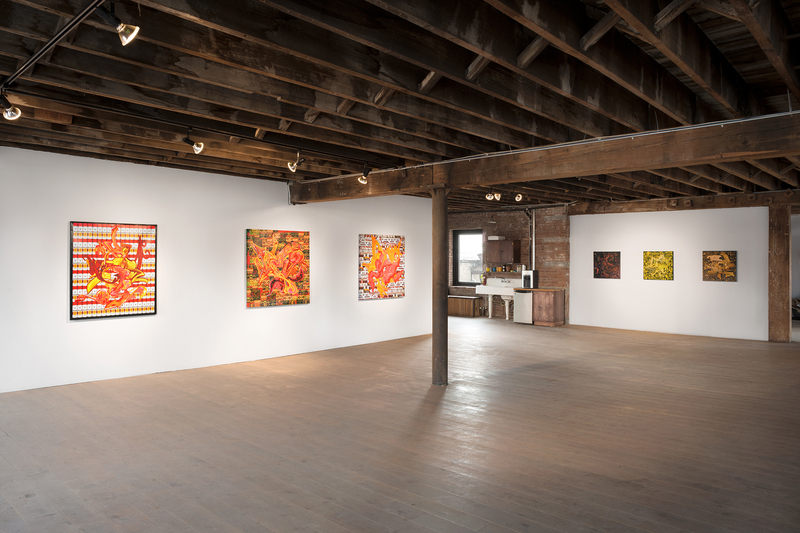 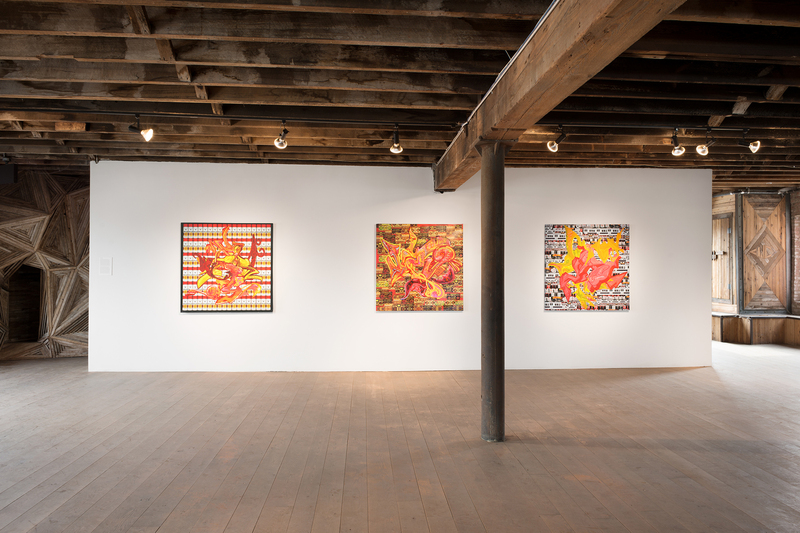 The body of work presented at Pioneer Works is emblematic of Fab’s current practice, which he likens to the term “abstract remix.” The paintings bridge Fab’s roots in graffiti with things that appeal to him visually at any given time and are each comprised of appropriated fragments that he photographed, digitally dismembered, and reconnected. 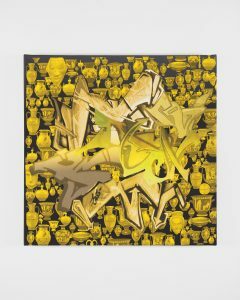 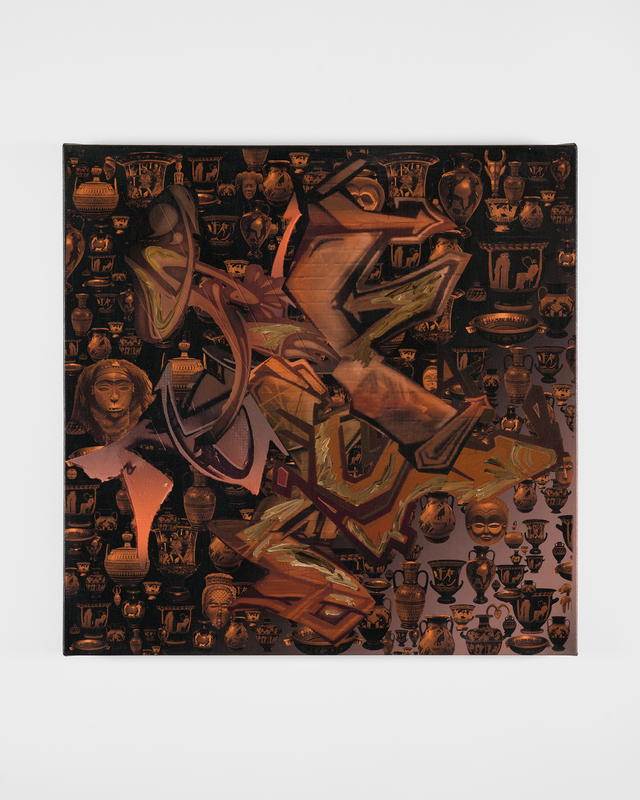 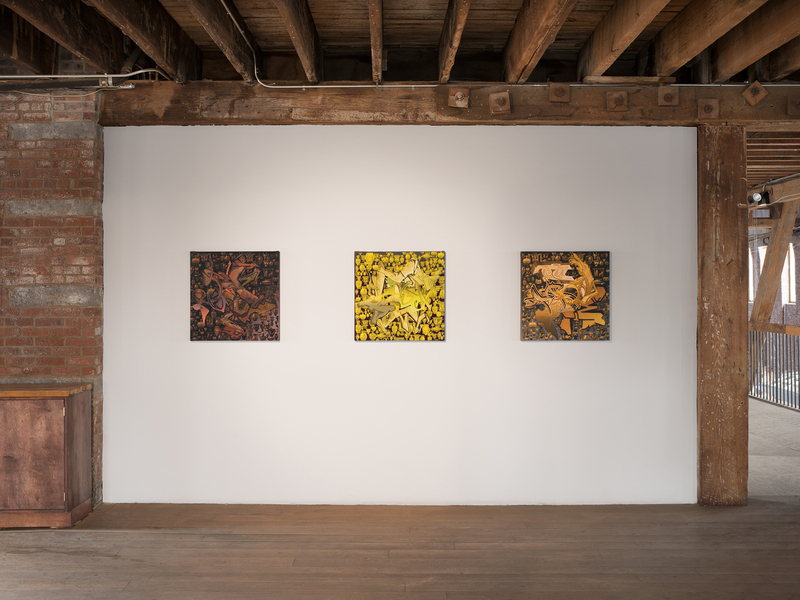 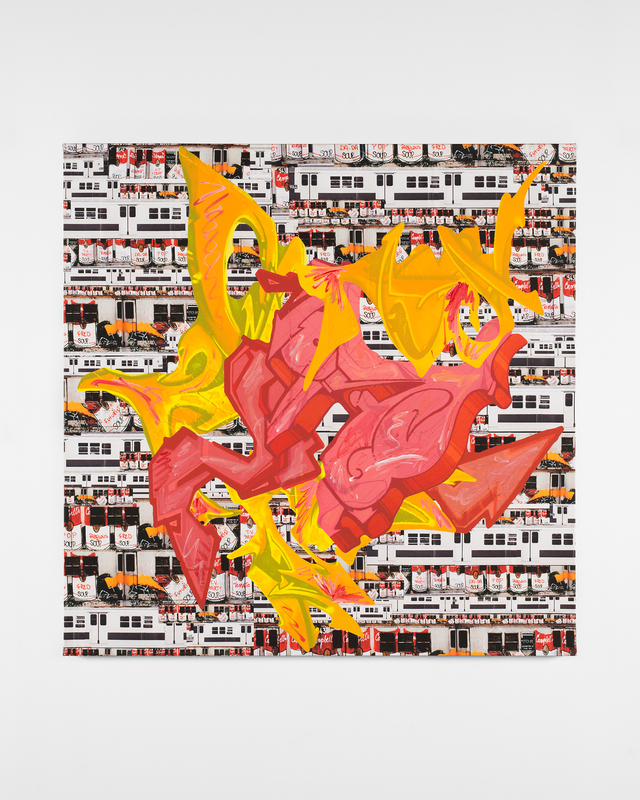 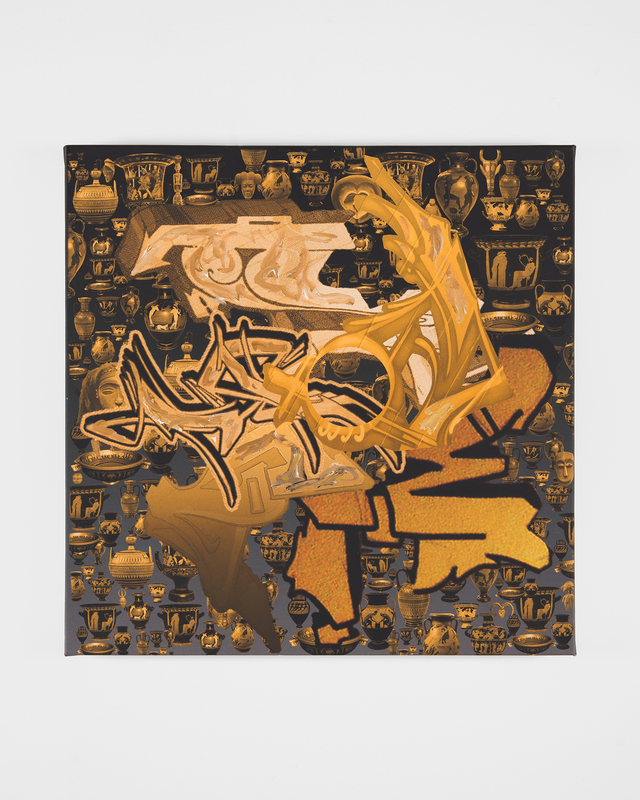 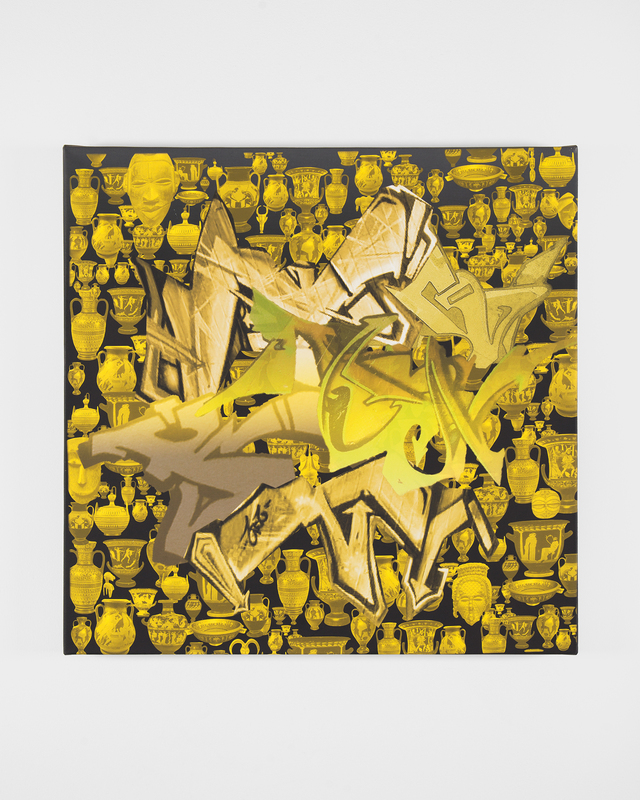 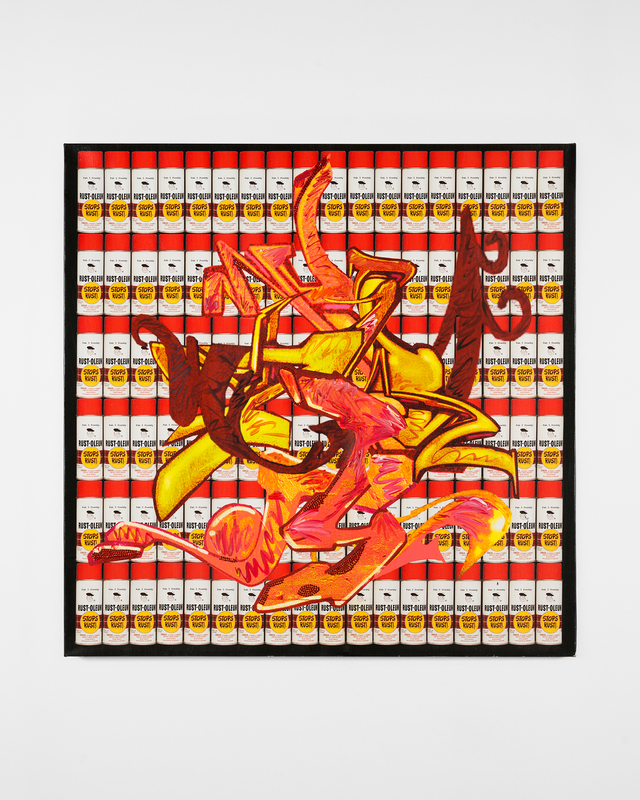 While the backgrounds of some paintings represent classic markers of graffiti and hip hop culture, others from his ‘Afro-Greco’ series are made up of relics such as Greek urns and African masks. 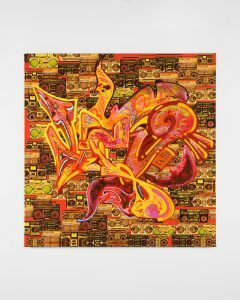 This disparate imagery points to Fab’s radical message which began with him leading the way for artists rooted in graffiti to explore visual subjects beyond the “calligraffiti” of their own tags, and points to his pivotal role in linking a hitherto underground scene to the forefront of popular culture and contemporary art.